Today in Tech News Digest, Alibaba files for an IPO, Intel bets large on Chromebooks, the new Pwn Phone debuts, Shaq Fu is reborn, Destiny’s destiny is secured with a huge budget, and the UPS drone delivery mix-up. Alibaba Files For IPO In The U.S.
Chinese Internet giant Alibaba has filed papers with the U.S. Securities and Exchange Commission (SEC) ahead of an Initial Public Offering (IPO). Alibaba has an estimated market value of between $150 million and $200 million, meaning its IPO could be the largest in history. Alibaba isn’t particularly well known outside of China, but it’s a huge player inside the country, selling more merchandise than Amazon and eBay combined. It’s also responsible for the majority (a reported 72 percent) of mobile commerce in China. In its filing Alibaba has set a $1 billion target as a placeholder, but it’s expected to sell a 12 percent stake in its business, raising between $15 billion and $20 billion. This should dwarf the $16 billion raised by Facebook’s IPO in 2012, and could even beat the $19.65 billion raised by Visa in 2008. Yahoo is set to do well from the IPO, as the U.S. Internet giant owns a 22.6 percent stake in Alibaba. This filing is just the first step of a lengthy process which will end with Alibaba listing its shares on either the Nasdaq or the New York Stock Exchange. More details are expected in the coming months. Intel still doesn’t seem to like to mention the names of its competitors. Comparing a new Intel-based Chromebook to a “non-Intel” one. Chromebooks are about to get more power under their hoods thanks to Intel and Google teaming up together. At a joint event between the two companies, a slew of new Chromebooks were announced, all featuring Intel chipsets. Dell and Acer revealed Chromebooks powered by Intel’s Core i3 processors, while the likes of Asus, HP, Dell, and Lenovo revealed Chromebooks powered by Intel’s Bay Trail-M chipsets. Google has always been serious about Chrome OS, and it seems Intel has now also seen the potential offered by these devices. We think Microsoft should be paying attention, and even Windows fanboy Paul Thurrott agrees. The new Pwn Phone is now available to buy, giving white hat hackers a new tool for testing the vulnerability of corporate networks. The Pwn Phone 2014 from Pwnie Express is based on the LG Nexus 5, with a custom Android front-end and and custom Kali Linux back-end. This is a handset aimed at security professionals rather than mainstream consumers. For an asking price of $1,295 you get a smartphone fitted with more than 100 tools for testing how a network copes with a range of attacks. All the data collected can be wiped with a one-touch application. Invaluable, then, and not at all scary. When Shaquille O’Neal launched an Indiegogo campaign to raise money to make a sequel to Shaq Fu, people reacted with a mixture of amazement and intrigue. This 16-bit fighting game is considered one of the worst games ever made, so why would anyone want a sequel? Video games are often given bigger budgets than Hollywood movies these days, and Activision Blizzard is going all out to continue that trend with Bungie’s Destiny. It has been revealed that Destiny has a total budget of $500 million, with Activision Blizzard CEO Bobby Kotick the source of the news. Grand Theft Auto V is currently the most expensive video game of all time thanks to its incredible $265 million budget. Rockstar turned a profit on day one with that game, but Destiny’s destiny is less assured. Is this game a day one purchase for you when it’s released in September 2014? And finally, UPS sometimes makes mistakes and delivers packages to the wrong addresses. Which is only to be expected. However, a mistake of the magnitude experienced by Reddit user Seventy_Seven is rare and just a little unusual. 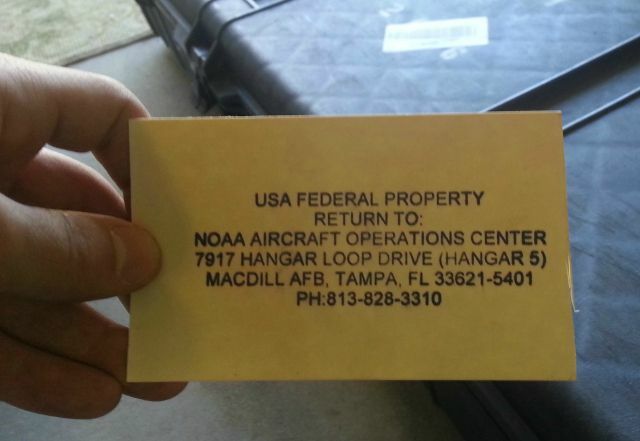 Along with the weight lifting bench he had actually ordered, Seventy_Seven received a section of a $400,000 wildlife monitoring drone intended for the National Ocean and Atmospheric Administration (NOAA). The missing package has now been dispatched to its rightful owner, and this guy has a story to tell at dinner parties for years to come.